Morning ladies & Happy New Year to you all & all your families. May 2018 bring much love, joy, laughter & happiness, with lots of dreams & wishes coming true. 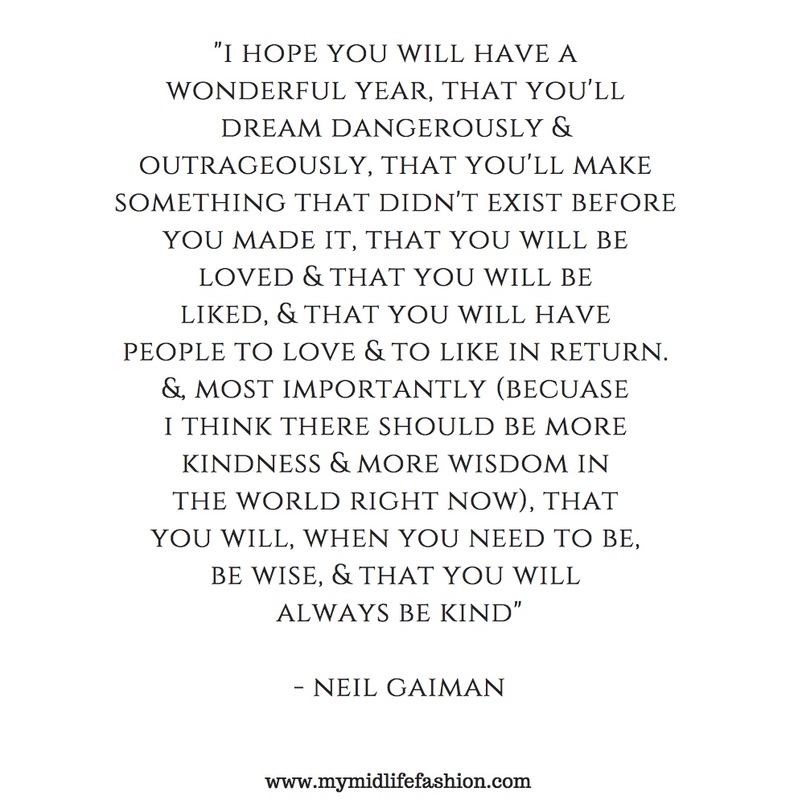 I just love the above saying by Neil Gaiman & all it's sentiments. Trainers - Hush - now reduced! So for a cosy day in it's my favourite combo of an oversized sweater teamed with cargo pants & sparkly trainers to welcome the arrival of 2018. Here's wishing the New Year gets off to a great start for us all. As always thank you for all your support & for following me on this wonderful journey. I'm looking forward to what the new year brings.